When building a brand new home, it can be tough to decide how you’re going to build it and what features you would want to add as the options are almost endless. Some people may opt for a nice spacious yard to grow and cultivate that homely feeling and others may consider adding an extra mother-in-law apartment attachment. There are so many things you can add that can spice it up and make it more enjoyable but here are just a few that might be right up your alley. It is highly recommended to invest some of your money into an additional backyard space for fun. Oftentimes, people won’t think about their backyard, but during the building phase it can be one of the more important times for planning ahead. You might consider a swimming pool or a fire pit for parties and social events. Having a cool backyard is a dream that many of us have and one that you can achieve with a few inexpensive plans. Before designing the house, creating space for these two rooms can help a lot with entertaining yourself and guests. A game room with arcades can be a wonderful addition to your home, and a theater where people can watch movies is a useful upgrade. Consider a theme for your theater or game room to really spice it up. Some people really go full throttle with this idea and can make great additions that really add value to their home. Consider adding solar or wind power additions for a truly modern turn on taking care of your bills. It should be an easy choice to decide to go green for your new home. Make parts of the home especially eco-friendly and self-sufficient with everything from the material used to build to the furniture. All of these things will help you to go green and make your home more environmentally friendly. You should add a nice secondary suite or a guest home to your house that could be a couple of yards away from the home. It could be placed in the backyard. It is also named a mother-in-law apartment because it’s the perfect place for in-laws and other relatives to stay. 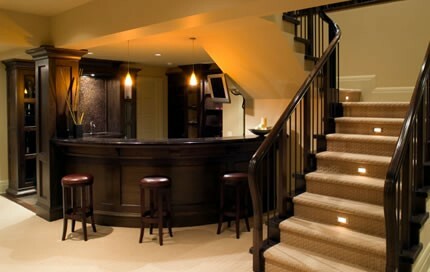 Adding a garage with a nice design to the suite and making it accessible can be perfect for those who plan on having an extended stay, so don’t be afraid to go the whole 9 yards with a kitchen, bedrooms, and a bathroom. A secondary suite can often be rented out to help those expensive mortgage payments. Consider creating multiple hideaways and exits from one room to another place for fun. Having a special addition like this in the blueprints during building can be really fun. There are many example of people using secret door to just get away from it all or even for safety. A place to call your own in your new home can create a feeling of ownership and pride like none other. Building a new home can be a tedious process, and it can be confusing because you aren’t sure what you should add. Use these suggestions to help get you some ideas for the house and achieve what you’ve always dreamed about.